Designed for winter and cold weather sailing, the new Superwarm® range is developed using the latest 3D modelling technologies to create the best anatomical design and fit for flexibility, agility and warmth. Superwarm® uses the latest superstretch neoprene, to create the most durable, flexible and warmest suit ever, and producing astonishing insulation given its slim 3mm construction. Superwarm® completely changes the traditional wetsuit concept of needing to get wet to keep warm. It works more like a drysuit, assuming the performance sailor stays mostly dry, with added protection to prevent water ingress. In addition to glued and blind stitched seams, an ultra thin stretch, neoprene tape has been added on each seam, for improved durability and “waterproofness”. 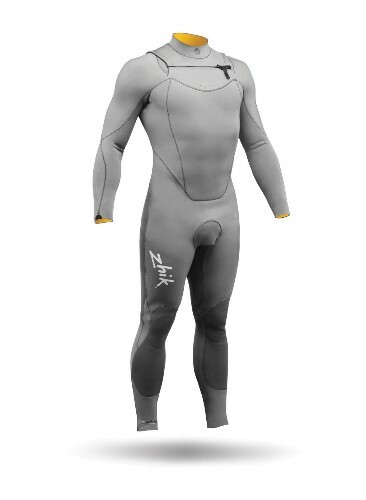 ZiBand™ leg seals prevent water getting inside the suit, and the improved, water resistant Loo Rip opening, is strategically placed to allow easy comfort breaks, and prevent cold water entering the suit. Laminated into the middle of the fabric, a Titanium layer reflects body heat back towards the skin. A new inner lining, made from fast drying Hydrobase®, traps warm air and provides extremely efficient thermal insulation. 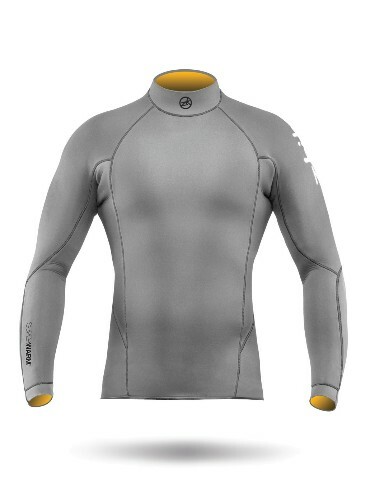 The neoprene incorporates multiple thicknesses across different areas, to maximise movement, flexibility and warmth. To ther increase durability, the knees and seat panels are reinforced with Zhiktex 2™, a new, robust, highly abrasion resistant 3D knit construction fabric, which maintains complete stretch and flexibility.